So are you tired of pressing hard keys of your old keyboard? You can buy a new Bluetooth keyboard at a huge discount. 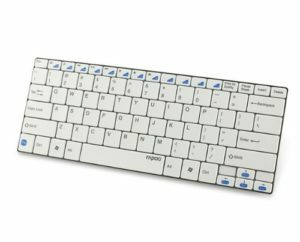 Buy Rapoo E6100 Ultra-Slim Mini Bluetooth Keyboard (White) at Rs 899 only on Amazon. This is flat 70% off. The delivery is free. Buy now. How to buy this Bluetooth Keyboard ? Bingo!! You will soon receive your product.